Jimmie Deeghan is welcomed to MV2 Entertainment. 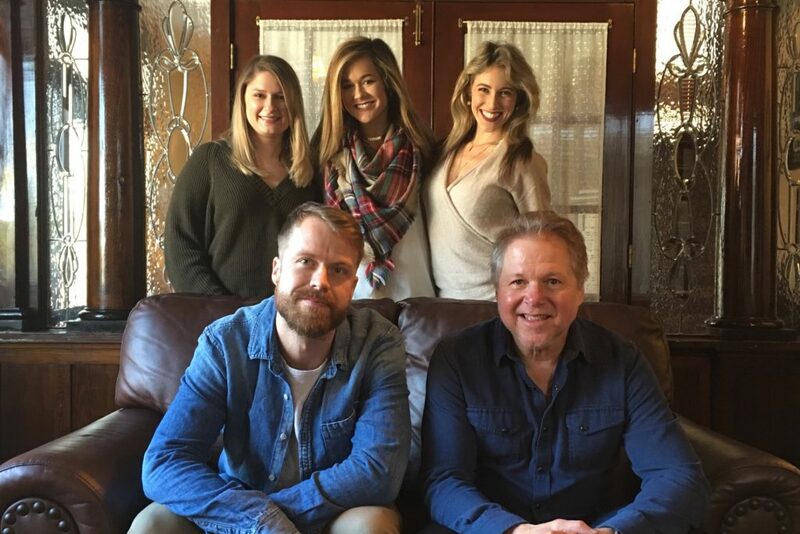 (Seated L-R) Deeghan and MV2 Entertainment General Manager Tony Harrell; (Standing L-R) MV2 Entertainment Artist Manager & Contract Administrator Lauren Davis, MV2 Entertainment Digital Marketing Manager Lindsey Parrish, and MV2 Entertainment Creative Director Nicole Sherrill. Jimmie Deeghan has joined MV2 Entertainment’s songwriter roster in Nashville, which also includes Thomas Archer, Clay Mills and Terry McBride. Born in Eaton Rapids Michigan, Deeghan found an early interest in punk rock and years spent touring the globe with his pop/punk band Every Avenue. He eventually shifted his focus to songwriting and moved to Nashville. While honing his craft, Deeghan first took a job as a guitar tech with Thompson Square before being offered the same gig with then opening act Florida Georgia Line. He joined the FGL band and also toured with Ryan Hurd before being named band leader for Kane Brown. Deeghan recently left the road to focus full-time on songwriting. Deeghan explained that performing in some of the biggest arenas in the country has had an impact on his songwriting. “It gives me an inside look at how a crowd reacts to a song and how certain topics hit people harder than others,” he said.